Catalan leader Carles Puigdemont said that the region "has won the right to be independent", but stopped short of unilaterally declaring secession from Spain in a plea for dialogue. "The ballot boxes, the only language we understand, say yes to independence. And this is the route I am committed to traveling," he told the Catalan parliament on Tuesday (10 October), in a much awaited speech nine days after the 1 October independence referendum. "Arriving at this historic moment," he said, "I take it upon myself to say ... that the people have determined that Catalonia should become an independent state in the form of a republic." He added, however, that he would ask the Catalan parliament to "suspend" the declaration of independence "so that in the coming weeks we may begin a dialogue without which it is impossible to arrive at an agreed solution." "We must keep [the referendum's] results in mind during the period of dialogue which we are willing to open," he said, adding that this was "a gesture of responsibility" from his government "to de-escalate tension". The Catalan leader, together with 61 deputies from his Junts pel Si (Together for Yes) coalition and 10 deputies from the far-left CUP party, later signed a declaration of independence. But no deadline was set for the implementation of the text. 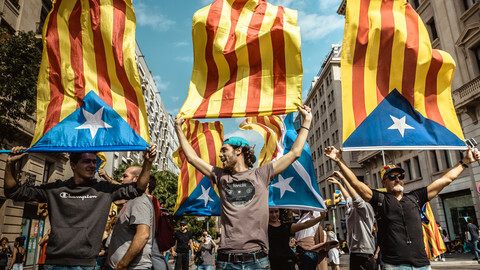 Puigdemont was under pressure from Catalan, Spanish, and European politicians not to unilaterally declare Catalonia's independence on the basis of a referendum that was considered as illegal by Spain and the EU. "I ask you to respect - in your intentions - the constitutional order and not to announce a decision that would make … dialogue impossible," European Council president Donald Tusk has said in a speech in Brussels moments before Puigdemont's address. Earlier in the day, the Green leader in the European Parliament, Ska Keller, had called on the Catalan leader to "reconsider" his intention to declare independence. She said that despite being "a strong supporters of the right to decide for Catalans", she thought it would be a "huge mistake." The mayor of Barcelona, Ada Colau, who had been an ally of Puigdemont over the referendum, had also said on Monday that the vote could not be considered as "an endorsement to proclaim independence". Since the 1 October referendum, the EU has made clear that an independent Catalonia would not be part of the EU, several companies decided to or were considering moving their headquarters out of Catalonia, and fewer tourists were coming to the region. While suspending any declaration of independence, Puigdemont batted the ball into the court of Spanish prime minister Mariano Rajoy, as well as of the EU. "Far from being an internal and domestic affair, Catalonia is a European issue," he said. He pointed out that eight Nobel prize winners and many other personalities have called for dialogue. He added that there was "a prayer for dialogue which runs through Europe." 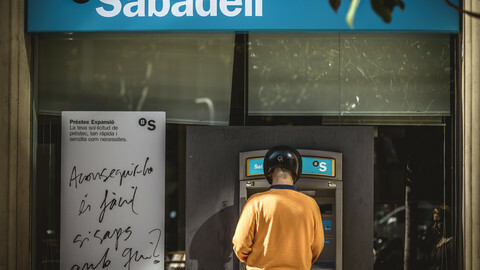 He called on the Spanish government to "renounce repression" and to "listen, not to us if they don't want to, but to those who advocate for mediation." He also called on the EU "to get deeply involved" and "hold up the fundamental values of the Union." 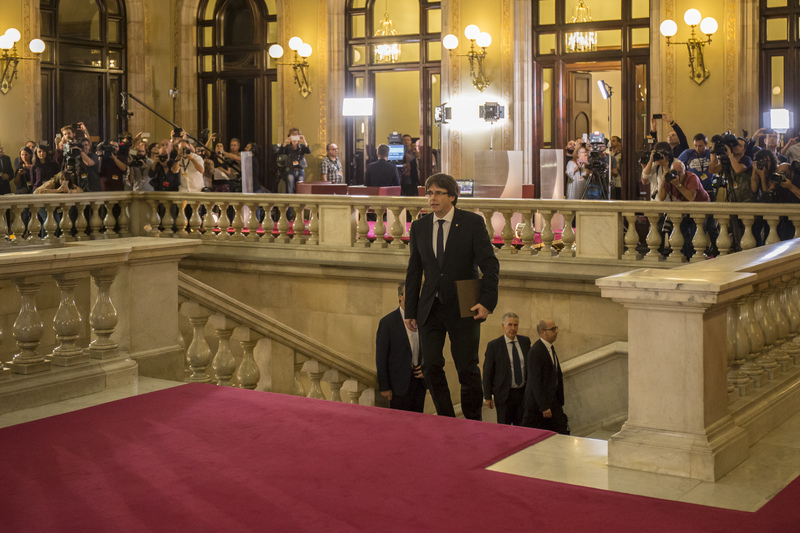 Puigdemont's speech, which was due at 6PM, started an hour later because of last-minute talks. The CUP, a far left independist party that supports the ruling coalition, was said to be unhappy about some parts of the speech. A rumour was that European Commission president Jean-Claude Juncker was on the phone with the Catalan leader, but the Commission quickly denied that, saying it was "fake news". 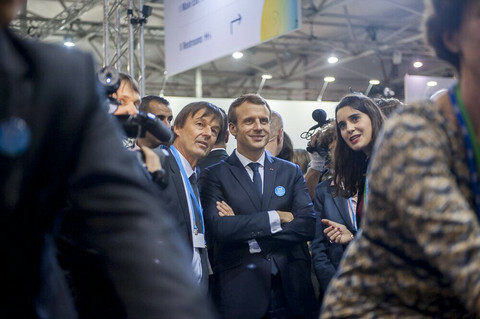 In his speech in Brussels, Tusk said that he has asked Rajoy to look for dialogue, "because the force of arguments is always better than the argument of force." 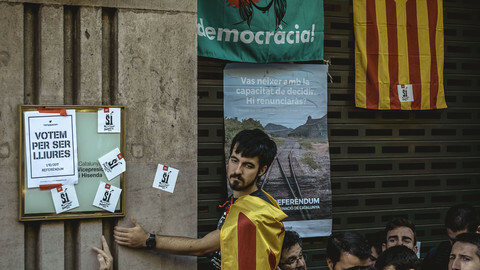 Puigdemont's failure to explictely declare independence triggered some criticism fro his CUP ally, which asked for a deadline of "more or less a month" before implementing independence. 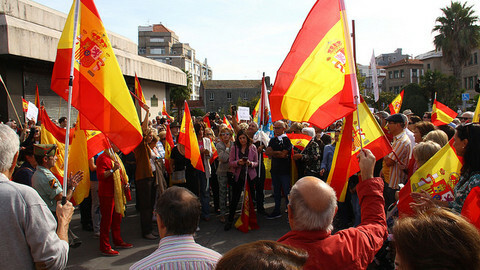 On Tuesday evening, the Spanish government rejected what it said was an "implicit declaration of independence". "Neither Mr. Puigdemont nor anybody else can claim to impose mediation," deputy prime minister Soraya Saenz de Santamaria said in the evening. 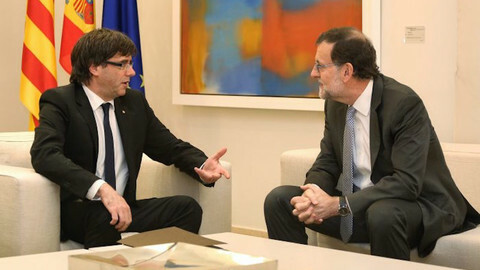 "Any dialogue between democrats has to take place within the law,"
Rajoy met the leader of the opposition, Pedro Sanchez from the Socialist Party, to discuss the next steps. 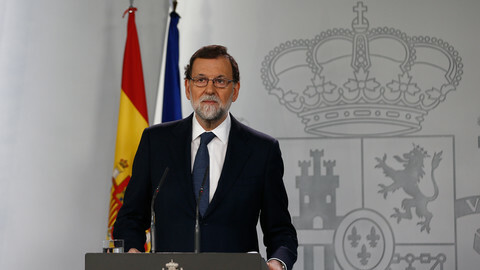 A ministers' meeting was called at 9AM on Wednesday, where Rajoy will decide whether to trigger Article 155 of the constitution, the clause that allows him to suspend Catalonia's autonomy. MEPs and the European Commission have called on Mariano Rajoy and Carles Puigdemont to "sit together" and find a way out of the crisis over the push for the region's independence, and ruled out any mediation. Rajoy opened up to a possible reform of Spain's regional system, while threatening to suspend Catalonia's autonomy if the region's leaders confirm Wednesday's declaration of independence. Developments in the Spanish region are a radical, direct and immediate threat against everything the EU stands for.